The aim of this induction is to ensure that you can fulfil your duties safely and effectively. Attending an induction will give you full access to the Volunteering Hub and the wide range of volunteer roles available. Please note you will not be able to apply for the majority of roles before attending the induction. 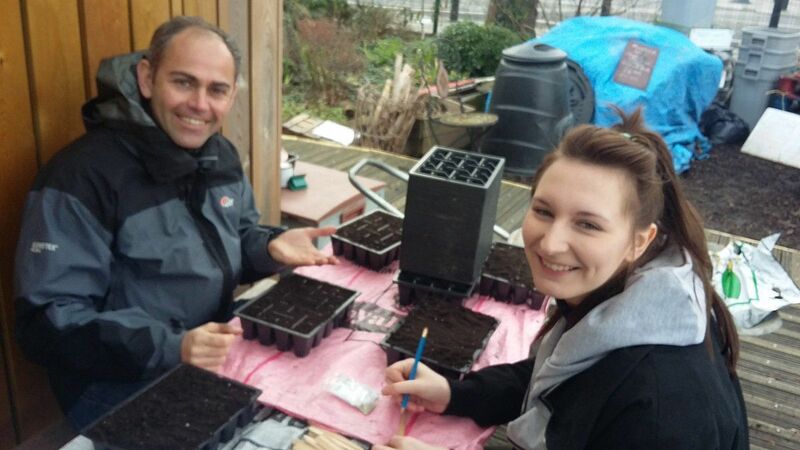 UEL volunteer working with JP Morgan employee at Stepney City Farm.